The best architects award, established in 2006 to honour the best architecture in German-speaking countries, has expanded to include all of Europe in its eleventh year, for “best architects 2017”. The best architects award, established in 2006 to honour the best architecture in German-speaking countries, has expanded to include all of Europe in its eleventh year, for “best architects 2017”. Let's look at categories and winners. Eight categories (single family homes, multi-family homes, office/administrative buildings, commercial/industrial buildings, education buildings, public buildings, other buildings and interior work), 380 projects submitted and an independent jury to award the words “best architects” and “best architects in Gold”: these form the basis for the eleventh edition of this initiative. Eighty-three “best architects 17” were selected and another ten were awarded “best architects in Gold 17”, demonstrating the excellent level of the projects examined as an expression of innovation, position and social relevance - fundamental values of all forms of contemporary architecture. Here are the ten gold award-winners. In the category “single-family houses”, Modersohn & Freiesleben Architektenfrom Berlin with their project “Haus R.” and Reuter Raeber from Basel with their “Haus in Riehen”. 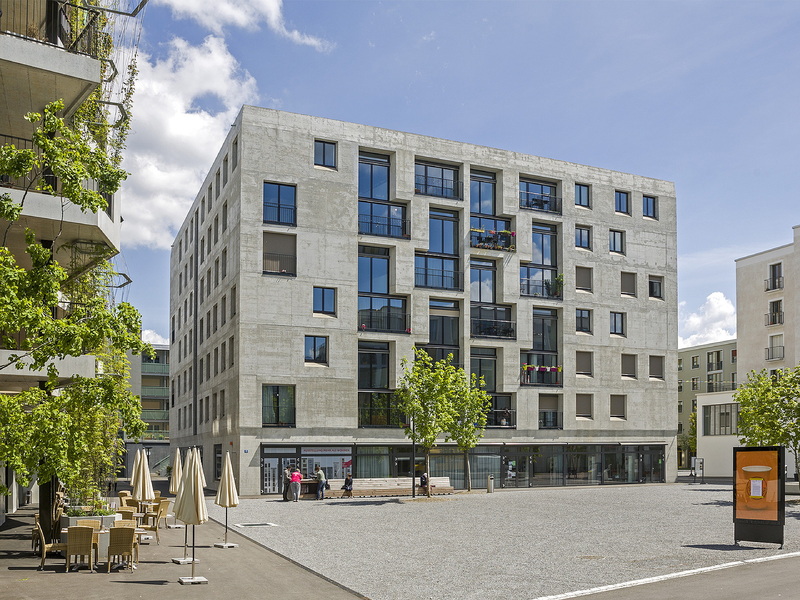 Zurich-based Edelaar Mosayebi Inderbitzin Architekten for the housing project “Wohnbauten Steinwies -/Irisstrasse” and pool Architekten “Haus G – Mehr als Wohnen” (House G - Beyond living). Christ & Gantenbein from Basel for the project “List Customer Center” and “List Customer Center” and Austrian-based Marte.Marte Architekten for their “Autobahnmeisterei Salzburg” (Salzburg motorway headquarters). Two projects from Spain joined the ranks of gold winners: the “Faculty of Fine Arts, University of La Laguna” by gpy arquitectos from Tenerife and the project “Deutsche Schule Madrid” by the Berlin firm Grüntuch Ernst Architekten. The incredible diversity of the submissions was exemplified by the “Sporthallen Weissenstein” (Weissenstein fitness centres) by the Zurich firm Penzel Valier and the “Umbrückler Alm – Ausflugsrestaurant oberhalb von Innsbruck” (Umbrückler Alm – restaurant above in Innsbruck) by Ludescher + Lutz Bregenz. A book by the same name is published every year, and the 2016 edition won the international Red Dot Award 2016 for communication design. The “best awards 2017” book presents the 93 winners in 456 pages, with lots of photographs, a real architectural “lookbook” for the year to come.